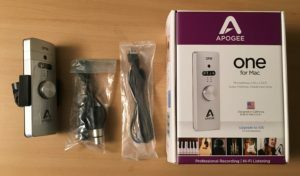 In the second of our USB Audio Interface reviews, Phil takes us through the Apogee One for Mac. 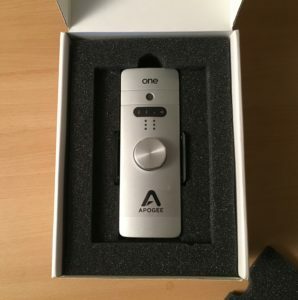 The Apogee One for Mac is a unique and high quality 2 in 2 out USB 2.0 24 bit 96KHz audio interface. 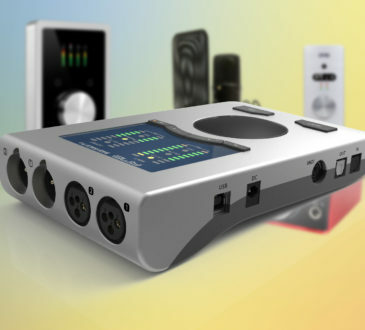 For a musician or podcaster needing a small all-in-one bus powered interface it proves to be a great option. This version of the One is designed for use with a Mac, and there is an iOS upgrade kit sold separately. The box contains the One, a breakout cable with 1 XLR input and 1 ¼” instrument input, a handy microphone stand clip, USB cable and some documentation, all nicely laid out. The One has a die cast aluminium chassis, looks good and feels sturdy. On the front of the unit is the built in omnidirectional condenser mic, a panel that lights up depending on what function is enabled, simple metering lights, and the control dial. When pressed down, the control dial switches between input gains for the microphone and instrument inputs and the output volume, each option lighting up its respective light on the panel. It can also be controlled by Apogee’s Maestro software which is downloaded as part of the driver package from their website. It can also be fully integrated into Logic Pro X and controlled via the channel strip within the DAW. This software control feature is useful when adjusting gain for the built in mic, as turning the dial whilst recording will inevitably cause noise that will be picked up by the mic. The One also works flawlessly as plug and play. 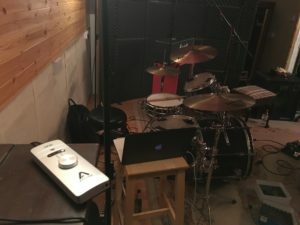 I used this interface at a rehearsal for my band, using the built in mic to record our rehearsal so that we could send some tunes to another guitarist to learn. Usually we would just do this on a voice memo on our phones, or from the built in mic on a laptop. The One gave us some surprisingly good results just from being set up in the room, with all instruments audible and nothing mushy. The drums sounded punchy, the bass was clear and the guitars had enough room to be heard very clearly. This kind of thing is exactly what the One is made for, capturing ideas on the go. 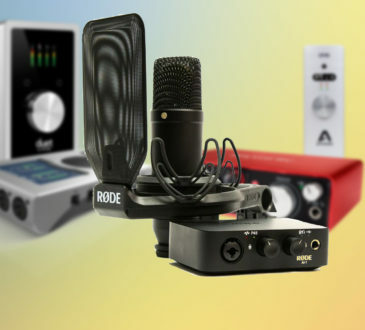 With a built in microphone this good, demo recordings get a serious upgrade in sound quality. The One features a mic preamp based on Apogee’s world-class technology found in its high end interfaces, along with a 1/8” “studio quality” stereo headphone or speaker output. The mic preamp is accessible via the breakout cable, which allows a ¼” instrument to be plugged in too. 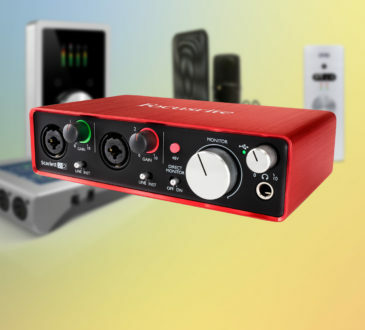 The mic preamp is of the best quality you can get at this price range, with 62db of gain and phantom power. The headphone/speaker output is fantastic and gives plenty of headroom and volume. It is noticeably clearer than the headphone output from my MacBook and made listening to high resolution audio a pleasure. 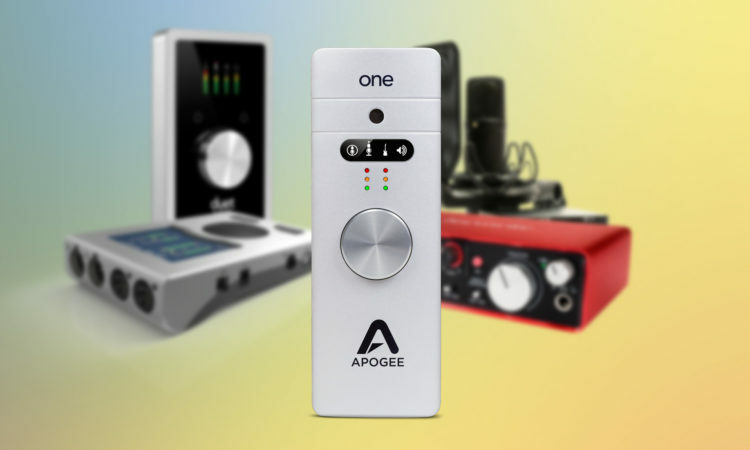 Across the whole range of their products, Apogee’s DACs are considered to be cutting edge and of the highest quality. 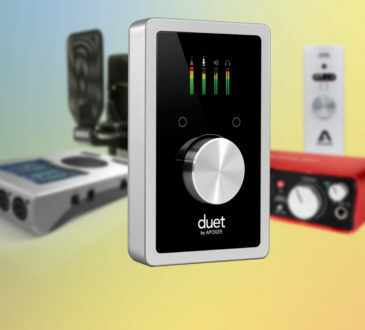 Whilst not sporting the same DACs or preamps as the Duet or other Apogee products, the quality you get with the One is better than many other interfaces at this price range and can certainly be classed as premium. The One is aimed at being an all-in-one solution for an on-the-go musician. Its built in microphone presents a massive upgrade to the process that many Mac and iOS users would employ to record a demo. It is not a one trick pony either, having a fantastic mic preamp and instrument input too, along with premium quality outputs and an optional iOS upgrade kit. The built in mic means that you don’t need to buy a separate microphone or take one with you to a rehearsal or songwriting session. Some would say it is limited by its inputs and outputs but for portability, ease of use and sound quality this interface is really worth considering. 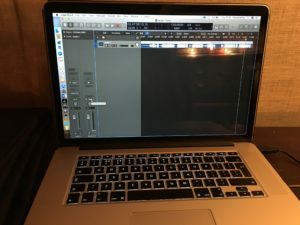 The One allows you to focus on getting the song ideas down as quick as they come.